Donald has been instructing, coaching and training in a range of Health & Wellness fields for over 17 years, which has given him the experience and capability to understand the demand and stressors of life and the benefits to adhering to a program of exercise, healthy choice, and well-being. 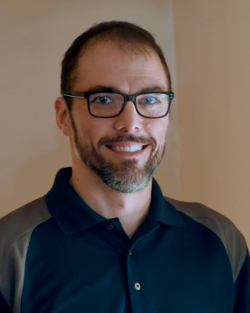 As both a Certified Personal Trainer and Behavioral Change Specialist, Donald also has a unique perspective on the connection between Wellness and Personal Achievement and the experience to develop this is one’s life. Donald has over 6 years experience as a Personal Trainer working with hundreds of clients in a wide range of needs from weight management to sports performance and everything in between. Additionally, Donald has over 15 years experience in martial arts and currently holds the rank of 3rd Moo Doo (3 black belts) with self-defense and competition sport fighting experiences. Donald participates regularly in 5 & 10k runs as well as “mud run” type events. In a professional role, Donald has worked as both a Small Business Counselor and Executive Coach for himself and for the State of Ohio for over 11 years.